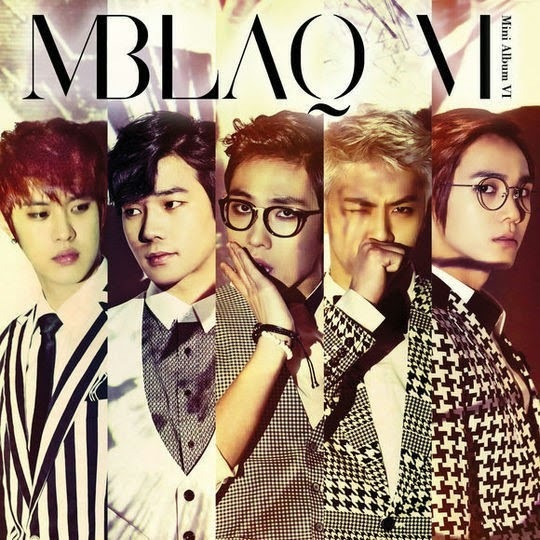 Five-member group MBLAQ made a comeback with its new album 'Broken'. The title track 'Be a Man' is a attractive R&B piece of a slow tempo and is the song about a man who is in the sorrow of parting. At the group's comeback showcase held recently, I could have candid talk with the 5 members. They had lots of energy, and their talks were full of wit. Q. You finally made a comeback. How have you been? Mir: Actually, I've lost a lot of weight because of my great hunger to release new album. I think my appearance is in top condition these days. Q. What is the main concept for the new album? G.O: We wanted to fill the album with sentimental songs so that most of the tracks are about parting. We have worked on ways for proper sensibility expressions. Q. Wasn't there any difficulty while preparing for the album? G.O: The fire in our stylist's office charred all the stage costumes we made. It is fortunate that people were unhurt. Q. You said you have many songs about parting in the album. Is your real experience about parting reflected in the lyrics? G.O: Well, hmmm. I suffer from paranoia because I can't meet any potential girlfriend. All the songs are from world of imagination. Mir: G.O is just sitting still in the accommodation. He really doesn't do anything in a dark living room. Mir: Cheondung composed the song '12 months' and I suspect that he had some kind of experience about parting. Cheondung: I have been doing a lot of thinking about the title of the song. I can't say that my real experience isn't reflected in the song at all. Q. The farewell songs do not seem to match with the spring, the season of love and new life. Mir: And please go out with me. Seungho: The song lyrics are pathetically touching. I hope that many people will like the songs. Mir: I cry when I listen to our music. Q. The title track 'Be a man' is composed by famous singer Wheesung. How was collaborative work with him? G.O: I met with him when I visited Australia to perform in concert and I tried to get close to him. I asked him earnestly to compose our new song. When he arrived at the recording studio, he had face pack on his face for a skin condition. I thought that he's very strict in his self-discipline. Q. Tell me your costume and choreography. G.O: This time, we wear suits for the stage performance. Fans said that they want to see 5 members performing on stage, wearing suits. Mir: Unlike other members, I'm in my shirt-sleeves. Actually, my lower body is shorter than my upper body. Wearing vest and rolling my sleeves up work for a nicer visual effect. Seungho: The choreography for 'Be a man' requires a good sense of dynamics. G.O: Every time I practice new choreography, I feel difficulty. The name of new choreography for 'Be a man' is 'Dusting dance'. Q. All the members except for Lee Joon participated in song writing through the album. How was your song writing work? Mir: I wrote lyrics for rap parts. I have had many collaborative works with G.O, and he doesn't say "OK" easily. But this time, we ended the work just in 30 minutes. Cheondung: I usually did song writing work alone, but I felt some difficulty and decided to co-operate with other composer. Lee Joon: I really want to participate in song writing. However, (He hesitated to say something) yeah, I'm not able to compose songs. Instead, my mother composes songs. (His mother is a college professor of practical music department) She said she wants to compose MBLAQ's song, but she shouldn't. She is a school song composer. Q. What are the strengths of MBLAQ? Cheondung: A sense of humor. Especially G.O. Seungho: Moderate age difference among members. Here's MBLAQ's 'Broken' CD. And the present that I received at the showcase. Those are a calculator and report material.